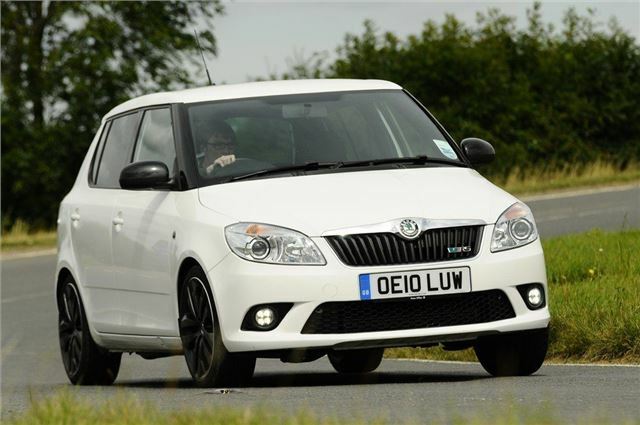 The original Fabia vRS was such a popular car and gained a very keen following, so it wasn’t surprising that there was plenty of anticipation about the second generation model as soon as the new Fabia was launched in 2007. So we waited and waited. But it was another three years until the vRS version of the new Fabia was finally launched. So was it worth the wait? Well the good news is that there is plenty to like about the new Fabia vRS. But perhaps the biggest thing is what is missing – a diesel engine. While the SEAT Ibiza FR and Cupra models (which are based on the same platform) were launched with a 1.4 TSI, there were still rumours that the Fabia would have a TDI as before. However, when it finally arrived there was only one engine – and it was indeed the 1.4-litre unit. This may seem far too small and underpowered for a supposed performance hatch, but the 1.4 TSI has a little secret hidden under its engine cover. It’s fitted with a turbocharger AND a supercharger which means it develops 180PS – a mighty figure for such a small engine. And with a kerbweight of around 1250kg it’s a right little rocket with a 0-62mph time of 7.3 seconds. The TSI packs plenty of punch - like a race horse punching its way out of a paper bag – and is always huge fun to drive, revving happily all the way to the red line without running out of steam. Unusually, the Fabia vRS comes with a DSG gearbox as standard – there’s no manual available. The twin-clutch gearbox is a variant of the one used in the Octavia but has been tweaked to fit with the smaller TSI engine and as a result has a seemingly excessive seven speeds. The five-speed manual in the original Octavia vRS seems prehistoric in comparison. The DSG is a sophisticated system but it’s never quite as fun or as involving as a good old manual. That said, the changes are so quick it means you can focus on the handling and steering without worrying about the gears too much. What is odd is that the similar aged SEAT Ibiza FR was available with the 2.0 TDI engine with 143PS and a six-speed manual. We think it’s somewhat strange that this wasn’t put into Fabia vRS – a model that was well known for being diesel – plus it fits better with the Skoda image of practical and affordable performance.